My obsession with copper has hit it’s all time high. Let’s just say I’ve made a few trips to Lowe’s and they probably think I’m building a house. 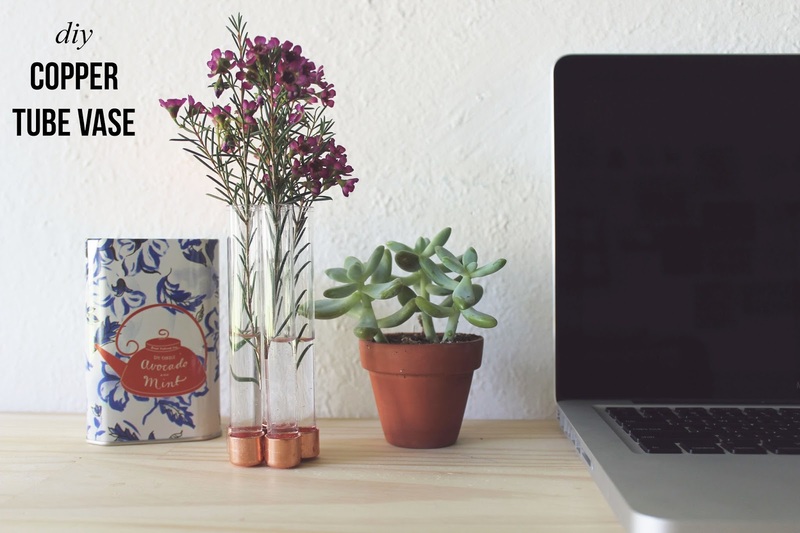 With Spring here I’ve been attempting to have fresh flowers in the house and came up with this fun DIY incorporating some copper. 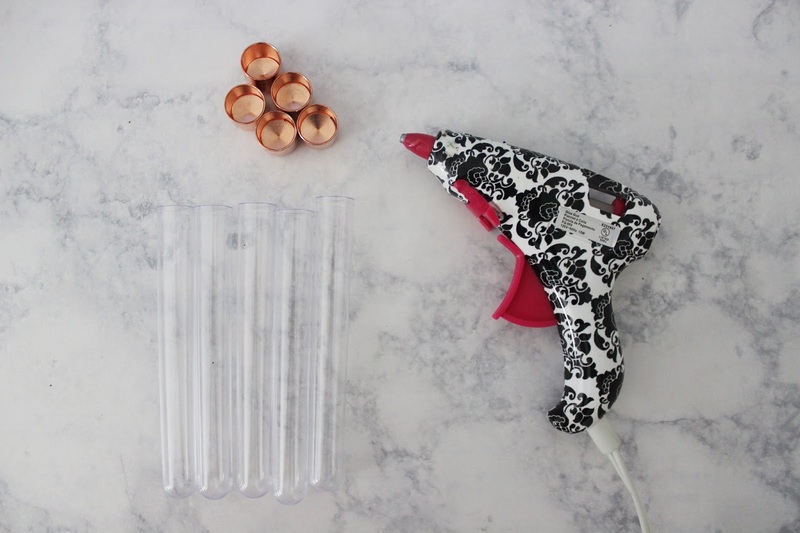 It’s quite easy to make and definitely worth that trip to the hardware store. 1. Apply a small amount of glue to the side of one copper cap and attach to another. Create any shape you’d like! I wanted something that was different, but still sturdy. 2. After connecting all the copper caps, apply glue inside of the caps and put test tubes inside. Make sure to hold the test tube the way you want it to be positioned or the glue won’t dry correctly, I say that from experience guys. 3. Once all the test tubes are glued in let it dry. Depending on the glue you used you might want it to dry overnight or for a few hours. Run to the store and pick up some cute flowers and there you have it! 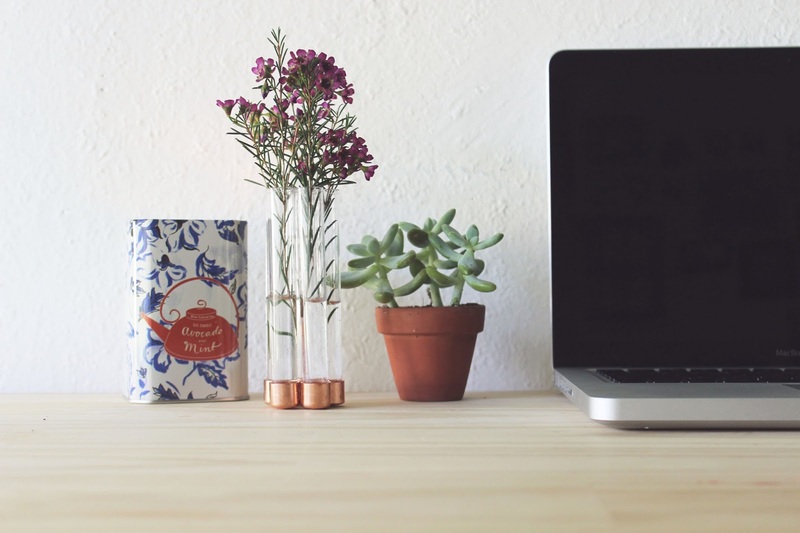 I love the dainty flowers, it adds a little bit of life to my desk. Now let’s see how long I can keep these flowers alive! "Blogger By Day, Homebody By Nite"